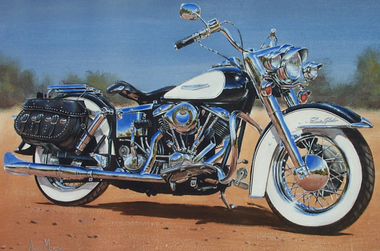 Our classic motorcycle art is created by Andre Meintjies who was born in Triangle, Rhodesia in 1975. 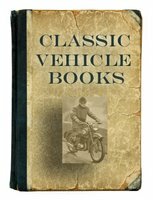 He is a classic motorcycle and car enthusiast. Andre worked in the advertising industry for many years as a graphic artist before turning his attention to professional art. His trademark is 'super-realism', highly accurate and detailed work, be it wildlife, automotive, aviation, landscape or portraiture. Many of his original oil paintings are now on the walls of art collectors, corporations, celebrities and ministers around the world. Artist Andre Meinjies not only paints super-realistic oil paintings of classic cars, he also paints motorcycles. You may commission a work of your own favourite motorcycle.